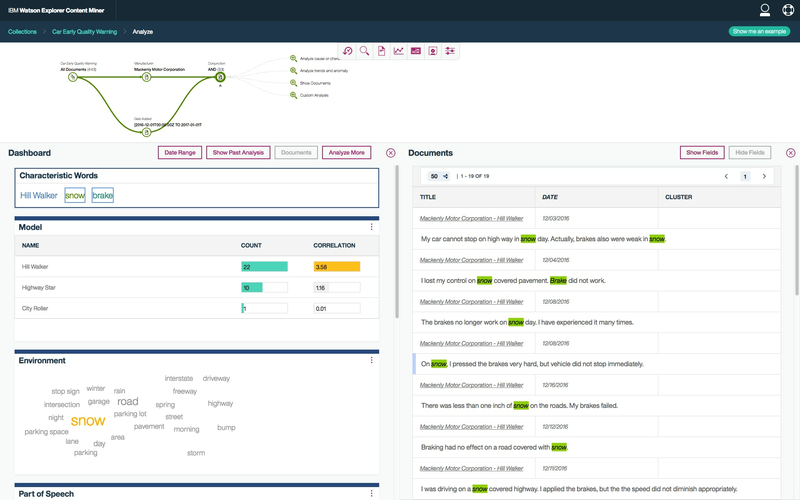 Get a smart, simple way to mine and explore all your unstructured data with the cognitive exploration, powerful text analytics and machine-learning capabilities of IBM Watson Explorer. With IBM Watson® Explorer, a cognitive exploration and content analysis platform, you can hear your data talking. Explore and analyze structured, unstructured, internal, external and public content to uncover trends and patterns that improve decision-making, customer service and ROI. IBM clients have used Watson Explorer to understand 100 percent of incoming calls and emails, improving the quality of information and their ability to use that information. Built-in cognitive capabilities — powered by machine learning models, natural language processing and next-generation APIs — can unlock value from all your data and help you gain secure 360-degree view of customers, in context, to create better experiences for your customers. Classify and score structured and unstructured data with machine learning to get the most relevant information that speeds decision-making. Gain insight from structured and unstructured data and get a unified view of your enterprise data with Watson Explorer Application Builder. Explore and analyze all your enterprise data with a new flexible, scalable Watson Explorer engine, which uses modern container technology. Which product option is right for you? Features a scalable cognitive exploration and content analytics offering for private cloud. A large insurance company processed millions of claims a year. 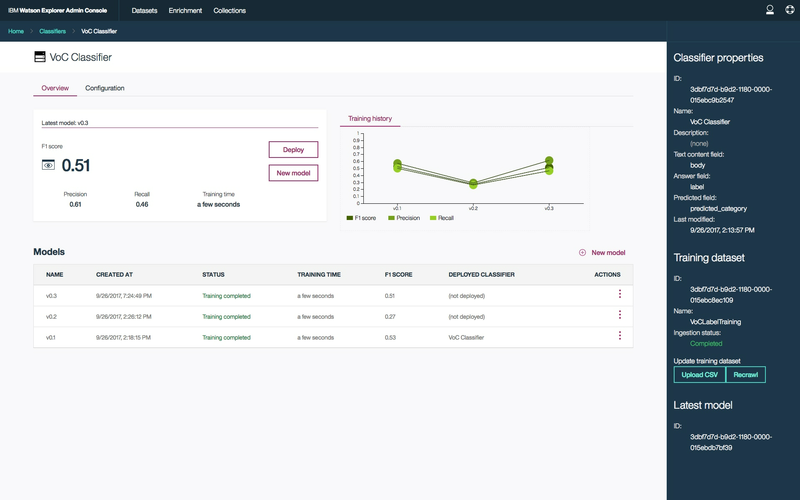 A complex claim that took two days to process can now be completed in 10 minutes with Watson Explorer. A global automotive manufacturer used Watson Explorer to identify defects faster, preventing expensive recalls and saving lives. 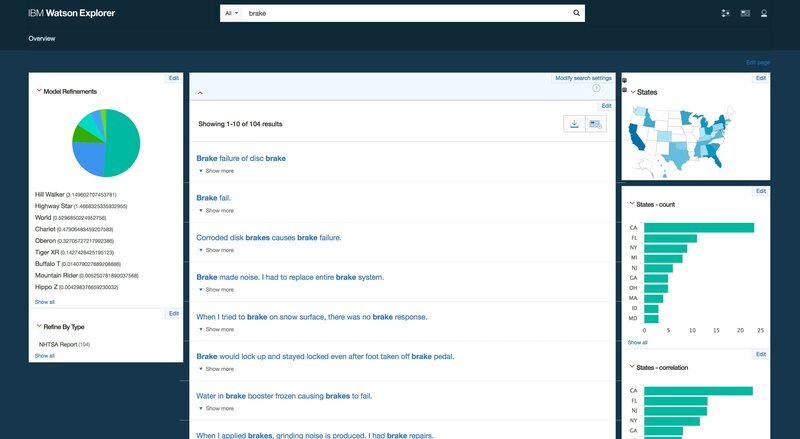 A global airline used Watson Explorer to enable a crew of over 2,000 to react more quickly to maintenance issues, so now over 200,000 cases per year are addressed 90 percent faster. Perficient, Inc., delivers comprehensive, industry-focused cognitive solutions like IBM Watson Explorer, and brings in over 20 years of experience as a top-tier IBM Business Partner®. SDG Group offers the most innovative and comprehensive management consulting and intelligence solutions with over 20 years of experience in content analytics. The Dayhuff Group guides organizations in collecting, managing and evangelizing their data and recognized as a leading provider of cognitive solutions using IBM Watson technologies including Watson Explorer.